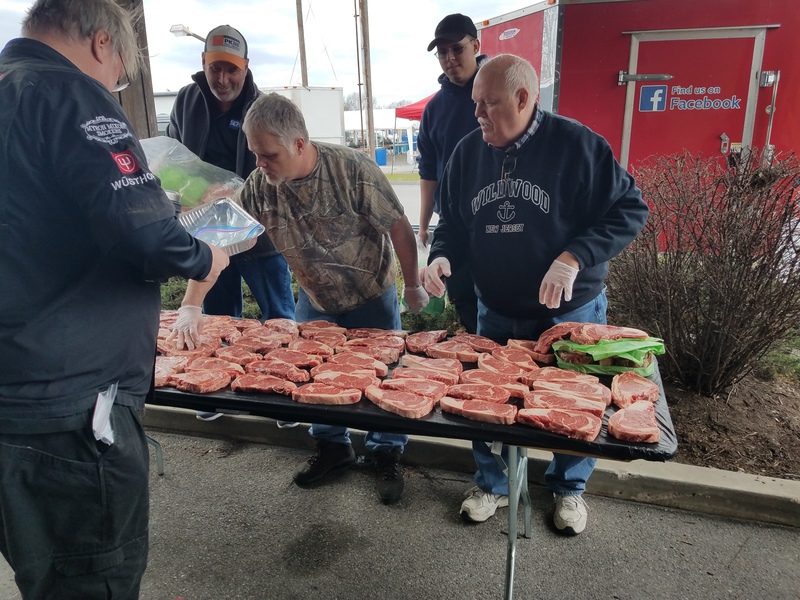 The 2nd Annual Raising the Steaks SCA Steak Cookoff – the longest continuously running SCA competition in the Mid-Atlantic! 🙂 The Raising the Steaks Cookoff will take place on Friday, April 5th – the day BEFORE THE IRONMAN! Open to everyone and anyone who wants to compete and thinks their steak is the best around. ANYONE can register to compete in Raising the Steaks! You don’t have to be in THE IRONMAN BBQ to register for the Steak Competition and (while recommended) you don’t have to be a member of the SCA to compete. Cost to enter a team is only $100.00 and your Entry Fee includes the meat! You can cook on anything – charcoal, gas, wood – or even sous vide if you want! BBQ team members can all compete against each other – who’s the best steak cook in your crew?? For more info, a FAQ’s page, and Registration form, see below…. Judging at Raising the Steaks will be done by Certified SCA Judges! Most SCA Judges registered in the Mid-Atlantic have been contacted and invited to Judge. But if you are an SCA Judge and haven’t been contacted, then please feel free to Register for our event! You can find FAQ’s and Registration forms below…..
1. Do I have to be in THE IRONMAN to compete in Raising the Steaks? Absolutely not! Anyone can register for Raising the Steaks. Each event is separate from the other and have their own rules, timelines, and payouts! You don’t have to be a KCBS cook, or Judge, or be affiliated with a team involved in THE IRONMAN! All you have to do is register, pay, and show up with whatever you need to cook. If you are not working with a BBQ team competing in THE IRONMAN, we’ll provide you with access to electricity (if you need it), a 10’x15’ cooking space, and a spot to park in. You are responsible for cooking equipment, spices, tables, etc. Most teams compete with a minimum amount of equipment – a 10×10 canopy, a grill, (2) tables, a radio, and some chairs. 2. Do I have to be an SCA member to compete in Raising the Steaks? You don’t have to be a member of the SCA to compete in any SCA event. However, there are many benefits to being a member, and in order to receive points towards the points chase you need to be members. If a non member wins an SCA event they will have until 8am on Monday morning to join SCA to receive the invitation to the SCA World Championship. You can register to be a member at www.steakcookoffs.com. If you register to be a member and then sign up for the class on April 5th, your membership will automatically become a 2-year vs. a 1-year membership! Free year! WooHoo! 3. If I am registered in THE IRONMAN, can I still register for Raising the Steaks? Of course you can! I’m counting on it! I would love to see every team registered for THE IRONMAN throw their hat in and compete at Raising the Steaks! We purposely set up the timeline so that the Steak turn-ins will be complete prior to THE IRONMAN cooks meeting and Pizza and Boat Drinks! You will have to register separately for THE IRONMAN and for Raising the Steaks. If you want, each person on your team can register individually and compete individually in Raising the Steaks! Compete against each other for Bragging Rights – the loser has to wash dishes!! AND the Payouts are great! 4. If I am registered in both events, can I cook at my IRONMAN site? Yep! Man am I easy or what?? If more than one of your team members registers for Raising the Steaks, you can all even cook on the same Weber…or whatever! 5. My whole BBQ team wants to compete in Raising the Steaks, do we each have to pay a separate entry fee? You will have to register separately for THE IRONMAN and for Raising the Steaks. If you want, each person on your team can register individually and compete individually in Raising the Steaks! Each person competing will have to pay the $100 fee. Compete against each other for Bragging Rights – the loser has to wash dishes!! AND the Payouts are great! 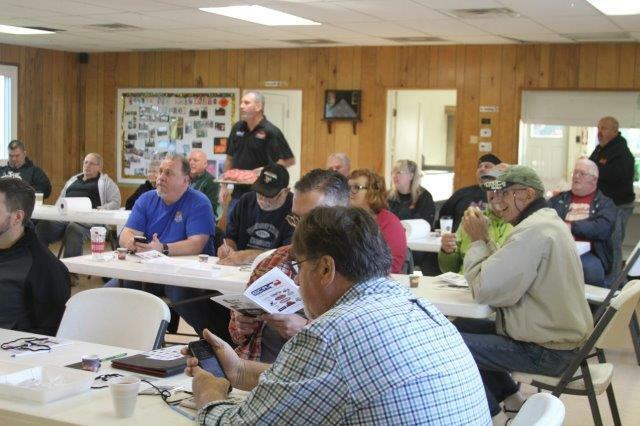 Go to http://steakcookoffs.com/Judging-Classes for more information about becoming a certified judge and participating in SCA Competitions. If you are a Competition Team at THE IRONMAN and want to set up on Thursday so that you can go to the class Friday morning, you are welcome to do so! We’ll put you in a spot and won’t move you – I promise! 8. What’s included with my $100.00 Entry Fee? You’re $100.00 entry fee for Raising the Steaks gets you into the event and qualifies you for Cash and Prizes AND includes your meat! That’s right, the entry fee covers your meat cost! 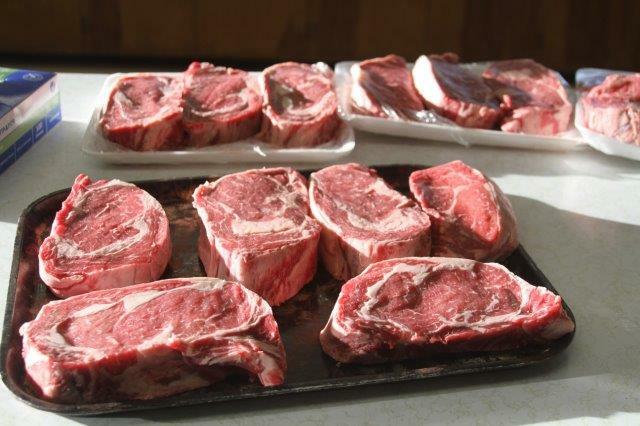 Everyone who registers for Raising the Steaks – or any SCA Event for that matter – gets (2) Ribeye Steaks to cook. After the Cooks meeting, contestants draw a number at the cooks meeting, line up in order, and have 30 seconds to select a ribeye steak. Once everyone goes through the line, the numbers are reversed and you pick one more steak. You turn in one steak. The other is for tasting or at some events used to raise money for charity. 9. What’s the timeline for the Raising the Steaks event? • 7:00p – Awards and Money!! 10. What are the Payouts for Raising the Steaks? 11. How do I register for Raising the Steaks? You can register for Raising the Steaks 2 ways – by downloading the 2019 Raising the Steaks Team Application and sending in your application via email, fax, or mail…or registering online at http://steakcookoffs.com/event-3182853?CalendarViewType=1&SelectedDate=4/19/2019. Good luck and thanks for taking part in Raising the Steaks. 1. Do I have to take the SCA Class to Judge an SCA Steak Competition? Yes! You cannot judge an SCA Event without having first gone through an SCA Judging Class. 2. I’m already an SCA Judge, how can I register? If you are a Certified SCA Judge and would like to Judge at Raising the Steaks, we would love to have you here! Please download and complete the 2019 SCA JUDGES APPLICATION Form here. Once we receive your registration, we’ll send you an email to confirm your spot as a Judge in our event. 3. Are there going to be other SCA Competitions in the Mid-Atlantic area? Absolutely!! There’s already been a few this year in MD and VA. There will be another one in Lancaster, PA on April 13th and another SCA Competition in MD on April 19th! And things take off for the summer from there with some 20 competitions scheduled this year in the Mid-Atlantic alone! These competitions are easy to put on, require minimal equipment, is a lot less expensive, pays out well, and is done in one day! 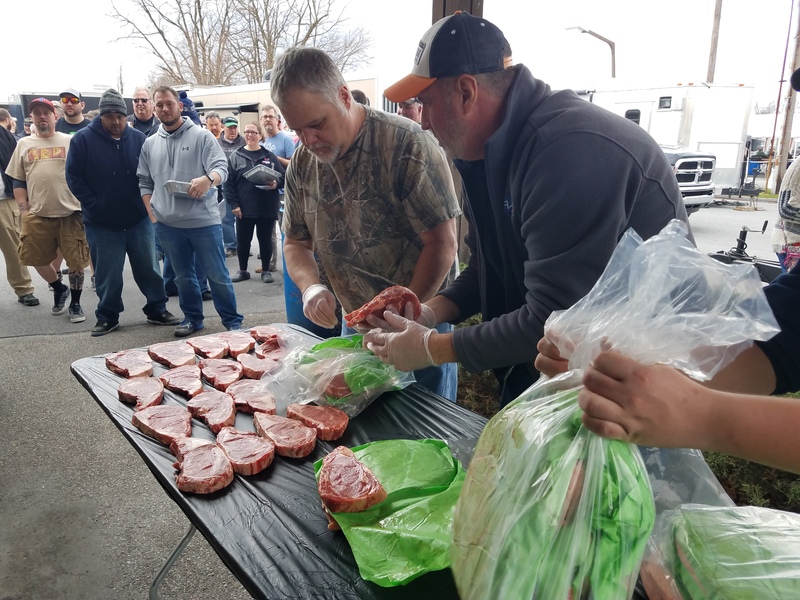 SCA Steak Competitions will continue to grow in popularity in the Mid-Atlantic and Northeast for at least the next few years!